The International History Bee & Bowl prepares students for competition in the two history quiz regional competitions (the bee is for individual students; the bowl is for school teams). 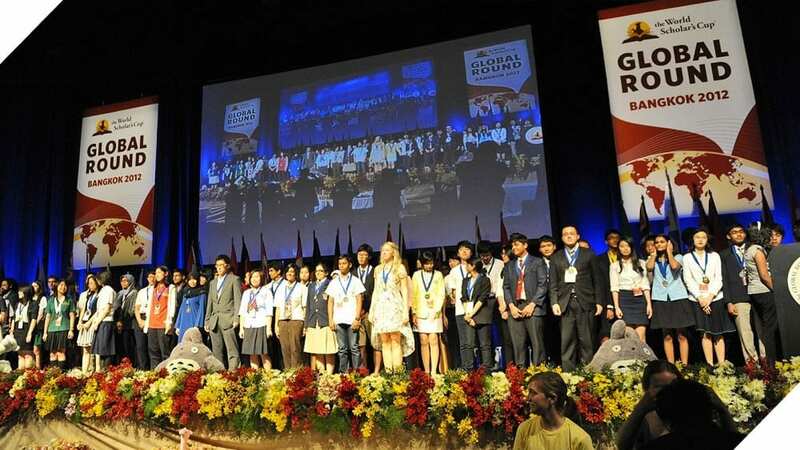 Teams which compete successfully will qualify for the Asian Championships, to be held later on in the academic year, as well as the International History Olympiad in the USA in late July. Students with a good general knowledge who want to strengthen their knowledge further and an interest in competing with other like-minded students enjoy the pressure of the quick fire quiz show style of the competition. Team work is required for success in the Bowl competition and this fosters collaboration skills and responsibility like all team endeavors. Learn more at the International History Bee & Bowl website. MUN provides the opportunity for students to understand the workings of the United Nations as they take on the role of delegates from particular countries. As a MUN delegate a student represents the interests of their allocated country in specific committees (Environmental Committee, Political Committee, Human Rights Committee, Security Council, etc.) to negotiate, lobby and debate with other delegates to seek agreements on key issues. NIST takes part in several inter-school conferences as part of BISAC, SEASAC and IASAS. As a member of MUN students have the opportunity to improve negotiating and public speaking skills as they interact with each other and put forward resolutions in the public arena. Participants also develop their research skills, and become more informed about current global issues and international politics. SEAMC is a three-day event that brings together nearly 300 students from 46 leading schools in the region to challenge their problem-solving mathematical skills. It involves a comprehensive range of individual and team competitions, long-term problems tackled often late into the evening with teammates from other schools, and a half-day treasure hunt in a local amusement park. There is also a gala dinner, a cultural trip, and a presentation or workshop by an internationally-renowned guest speaker. Learn more at the SEAMC website. One of the premier academic competitions in the world, the World Scholar’s Cup sees students compete in four areas: team debate, team persuasive writing, an individual knowledge exam and a team knowledge bowl. Each year the challenges focus on an overarching theme, and students must study materials from history, science, literature, a special area, the arts and social studies. It is an intellectual event that challenges students to develop teamwork and to approach complex problems from an interdisciplinary perspective. Students who perform well in the regional and global rounds go on to the Tournament of Champions, held each year at Yale University in the United States. Learn more at the World Scholar’s Cup website.